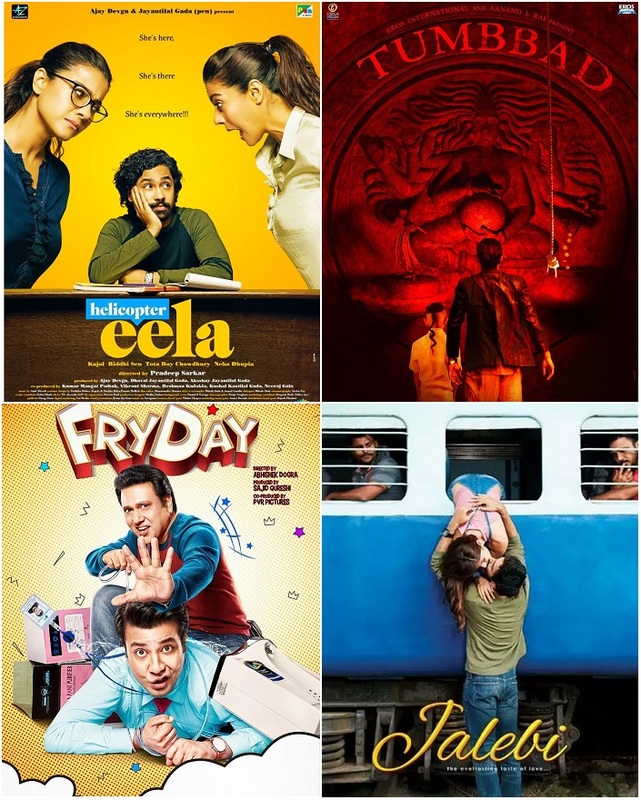 Helicopter Eela, Tumbbad, FryDay, Jalebi takes Shocking Start, Andhadhun set to Rule Again! All new releases be it Helicopter Eela, Tumbbad, FryDay, Jalebi and others have taken shocking start at box office this Friday. If we consider the samples of Morning and Noon shows, then despite their being so many releases, it will be one of the worst Friday of the year. Just imagine all new releases are struggling for 1 crore nett for the day. And all these films are released pan India. Only good thing is that Andhadhun is still going strong and may surprises one and all by the end of the day. It is the evening and night shows in which Andhadhun will gather momentum and there is no doubt it will lead the box office again ahead of all the new releases. Occupancy of Helicopter Eela and Tumbbad is bit better with around 5% for Morning shows and around 10-12% for Noon. Rest FryDay and Jalebi are simply washout. Shows are getting cancelled. Andhadhun is also reporting low occupancy which is obvious as film is into second week and today is working day. But there is no doubt film will see big growth in later part of the day. Andhadhun average occupancy for Morning and Noon shows is approx 15% which is actually not that bad.